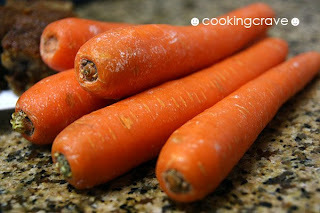 I bought 3 packets of carrots, 5-6 carrots in one packet at Tesco the other day. After using some of it for fried bee hoon. I still have 2 packets of the carrot in the fridge. I just bought Alex Goh's new cake recipe book yesterday and while I was flipping through the pages, I saw this American Carrot Cake recipe. Since I got all the ingredients for the cake, I just give it a try. The cake are soft and fluffy, not too sweet and yummy. I put more walnuts - 150g. Worth a try, it's yummy. 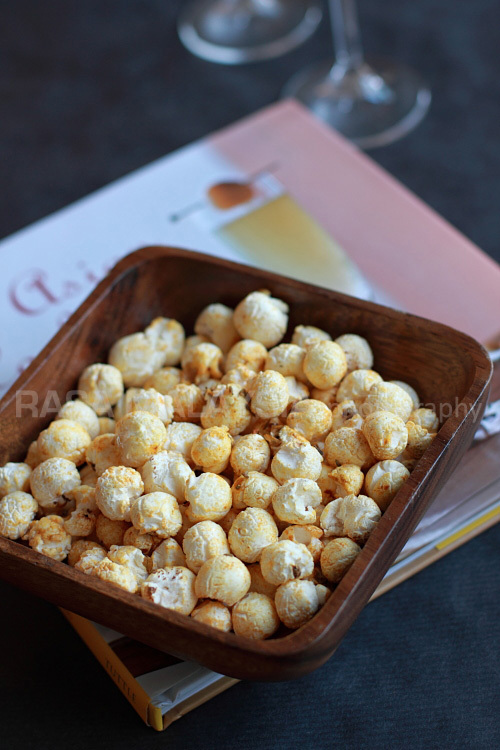 Great for breakfast paired with a cup of freshly brewed hot coffee. 1. Whip (A) until creamy. Add (B) and whip until well blended. 2. Sieve in (C) and mix until well blended. 3. Add (D) and mix well. 4. Pour the batter into greased and lined 30 x 23 cm pan. Bake at 180c for 35-40 minutes. 1. Beat cream cheese until smooth. Add butter and beat until well blended. Add sugar and beat until well combined. 2. Add lemon zest and juice. Mix well. Spread the topping over the carrot cake. 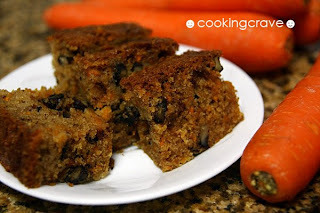 This carrot cake can be eaten plain without the cheese topping. You may also add 100g chopped pineapple to enhance the flavour of the cake. I bake this cake at 160c for 50 minutes. I notice it takes longer time to get the center part of the cake cooked. I will try to use 2 smaller cake pan to bake this cake in future. Adjust the temperature and the baking time to suit the oven used. I toast the walnuts in the oven at 150c for 5 minute before add it in the cake mixture. You can always replace the walnuts with some other nuts to your preference. i like carrot cake as well....yummy!! nice.. this is my fave especially goes down well with coffee! i was also sourcing around for a recipe for a nice carrot cake too! 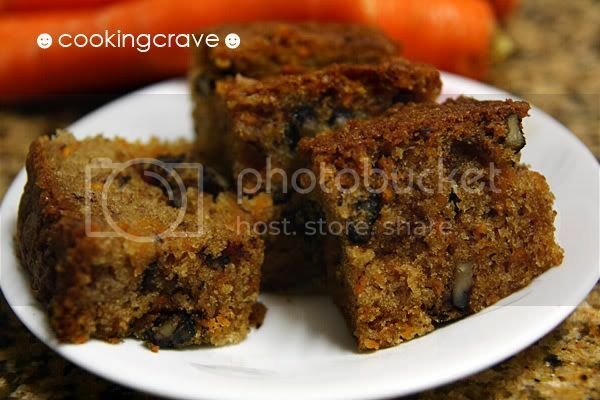 温馨小屋: If you love carrot cake, you will love this. It's yummy! Fad Mom: Ya, it's really nice. Do share your recipe with me too. Giggle: Really??? Are u sure?